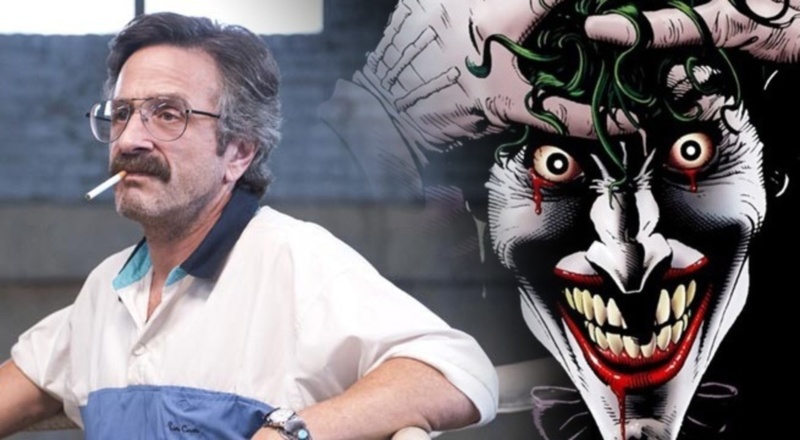 Comedian, podcaster and curmudgeon extraordinaire Marc Maron (Glow) is reported to be joining The Joker cast. The feature, set to be released October 2019, will show the alt origin of the clown prince of crime through the able visage of Joaquin Phoenix and will be disconnected from the greater (?) DCEU. Robert De Niro and Frances Conroy (American Horror Story, Six Feet Under) also star. The movie will be directed by Todd Phillips (Old School, The Hangover Series) and produced by, ahem, Martin Scorsese. We are not living in an alternate timeline. Or maybe we are. But this is all in this one, regardless. 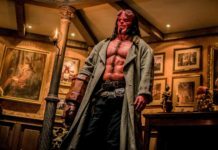 A cursory listen to Maron’s prolific WTF podcast will reveal his peak indifference to superhero cinema; so his joining this cast alludes to a few things: 1) Joker will hardly be a traditional Marvel-style “comic book movie” 2) Most artists would jump at the chance to work with the likes of De Niro, Scorsese and even Phoenix, even if it meant working sanitation in Phoenix 3) Maron is interested in stretching his craft and deepening his bank account. You can’t blame him on any of those fronts, and we can certainly get excited about whatever candid recollections he will generate from working on the project. 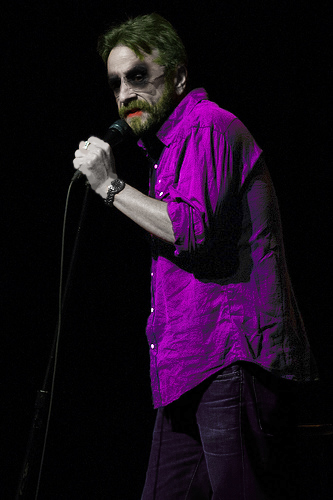 Maron’s unique, sardonic cynicism with dashes of realist zen should provide an interesting additional flavor to the proceedings. Additionally, the reporting on his character being a booking agent on De Niro’s character’s talk show peels back another layer on this unlikely movie — it will almost definitely, in spirit if not in letter, be a remake of Scorsese’s second-tier The King Of Comedy. That movie, starring a muted Jerry Lewis and an earnest De Niro, is something like Taxi Driver lite – De Niro’s aspiring comic goes mad in attempting to attract Lewis’s attention while doubling over in his delusions of grandeur. That plot seems to be, at least slightly, the template The Joker is taking, but presumably with more mob-minded action beats. I’ve thought Phillips has had a good eye since his work in the early aughts, that seemed to be further exemplified as his Hangover movies got darker and less funny. He seemed to be crying out, “Let me make art!”. He’s certainly capable. Joaquin is guaranteed to give a performance to ignite a thousand flame wars for a thousand years, with nerds the world round hot-taking his performance as one of the most iconic villains of all time as the definitive version for many Cons to come. It will be fun to see De Niro landing somewhere between Heat and The Adventures of Rocky & Bullwinkle. Maron joining, you’d think with more comic cameos to come, says something about the movie’s desired tone and up-keeped pedigree. But this movie should not be happening. It’s budget is said to be modest, but its ambition certainly isn’t. Christopher Nolan cracked the Joker’s menace by knowing he necessitated no background at all for his madness, which made it all the more terrifying. And outside of new t-shirts at Hot Topic it’s hard to see the market this R rated run at the property hopes to target or excite – but, if anyone’s going to make this joke land it’s these deliverers, Maron included. And wouldn’t making art from this be the biggest punchline of them all? In Hollywood, most business decisions are painted green. What do you make of the latest Joker developments? Stay tuned for more.